How I felt this week . . . The other day I wrote a post about hot-potatoing your worries to the Lord. This week I’ve been finding it not so easy to do. Some things are so simple in theory, but much more difficult in practice. My sister’s been in excruciating pain for the last week and a day with a partially obstructed intestine. They finally did surgery on Monday and now she’s in terrible post-op pain. My heart aches for her–and her family–every moment of the day. I have to admit that I’ve not done a good job of hot-potatoing my worries to him. Fortunately, God is bigger than my weakness. P.S. (Added in the evening) Good news. I just spoke to my sister, the ng tube’s out, her voice sounds great, and she even ate a piece of toast. Fear, anxiety, and worry hobble many of us in our Christian walk. The secret to walking in love, joy, peace, and hope is to walk hand-in-hand with Jesus. 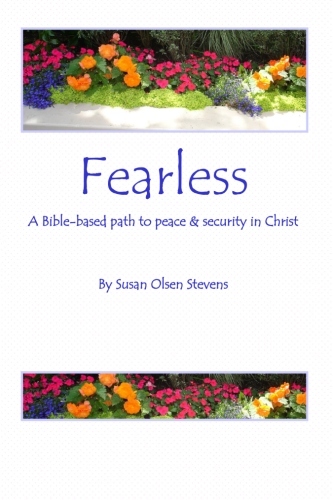 Let's both grab a hand and walk together as we learn to walk fearlessly with Him. Because the wonder of God's creativity and power strikes me whenever I look at flowers...not to mention clouds, sunsets, mountains, creeks, oceans, forests, fields . . . and babies. What a love letter He has sent to us. I am instantly reminded of the big-picture God (who's got the whole world in His hands) and who's in all the details of life as well. You can click here to buy a copy. Click here to buy a copy.